Michael Heizer’s statement ‘place is material: material is place’ underscores the intimate relationship that materials have with place and people. When I really need to feel moved or inspired to create something landscape art seems to do the job every time. Landscapes produce a way of seeing the world that artists try to recreate in their work. Artists deconstruct and re-assimilate landscape representation reflecting the changing attitudes towards the environment. Artistic fields like land art and conceptual art in the last century have began to increasingly exist outside of the traditional art frame because of their ‘readymade’ appearances. The growing importance of materials and the nature of them as opposed to an art object’s design and composition has become a fundamental move in landscape representation. People are in a constant dialogue with the landscape to such an extent that it becomes impossible for people to detach themselves from it, spatial and situational surroundings even from memory are a part of the processes of it. So landscape art can create nostalgia but also the opposite, alienation and indifference to it. These opposing perspectives help me think about what I want to capture in my work and how I want it to affect the viewer. 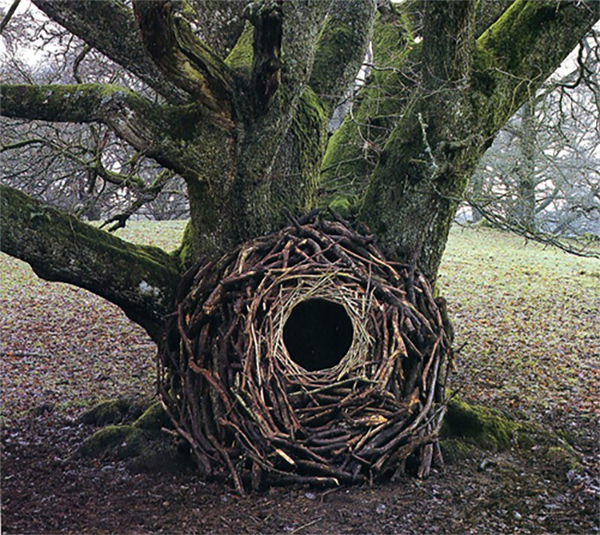 The landscape artist Andy Goldsworthy creates pieces that usually consist of one or two natural materials such as leaves or sticks and builds them into interesting forms. 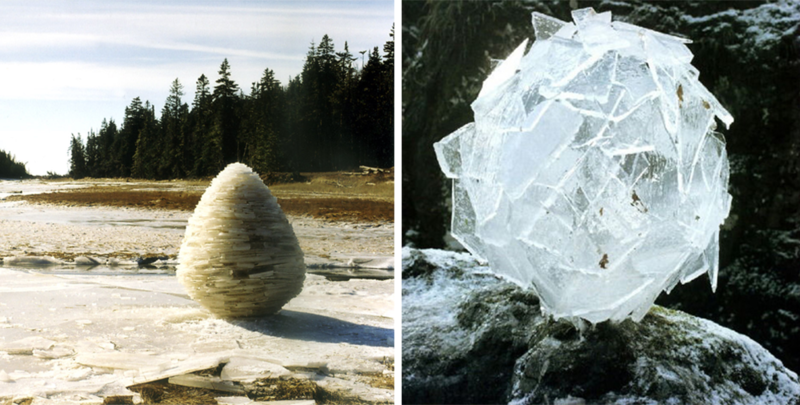 For example the image above is an art piece made from feathers that Goldsworthy plucked from a dead Heron. 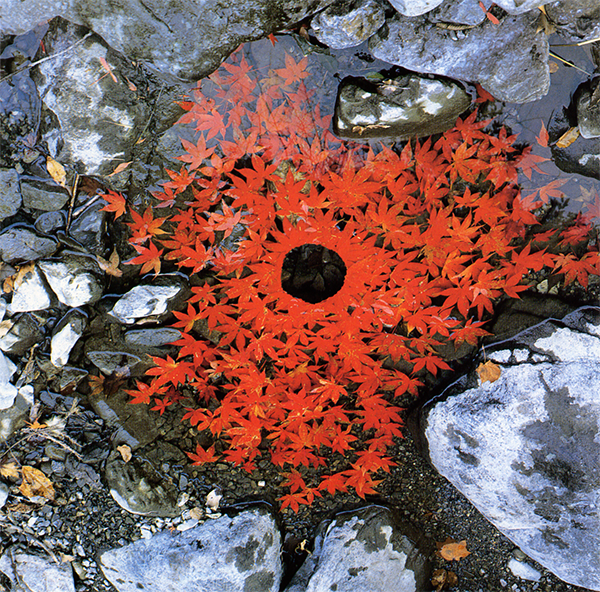 What is intriguing is that his art works have lives of their own, as for most of them apart from the works that get displayed in museums Goldsworthy leaves them where he created them in the wilderness, decaying like the rest of us with time.